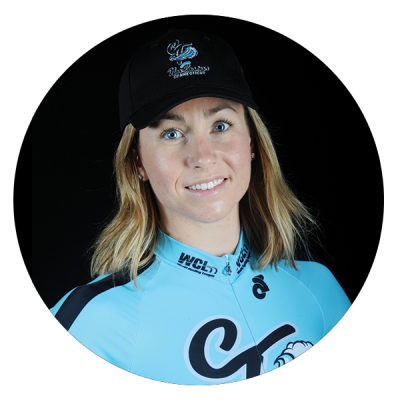 Tela Crane has been a cycling superstar from the moment she started bike racing as a junior. Originally from Washington, Tela discovered her versatile talent as an endurance rider who packs a powerful punch with an explosive sprint finish. Her superior ability at both ends of the spectrum has decorated her career with 30 National medals, 10 National Championship titles, 5 ongoing track records, and a former 200 meter National Record. Now with 15 years of experience, she is a shining star with an engaging personality that feeds off of the crowd’s energy, making her both a distinguished and charismatic leader of the Connecticut Nor’Easters.